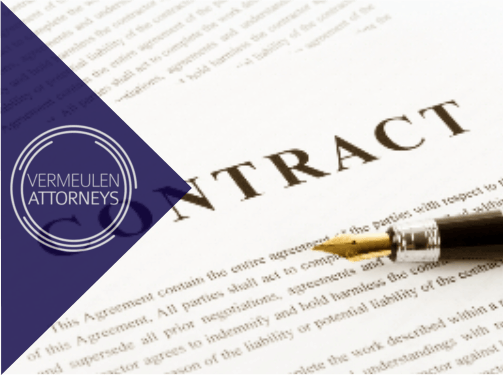 Contract Law deals with the law of agreements between parties. A contract may be oral or written. A written contract, however, is obviously much easier to prove. Contract Law does not just deal with the drafting of contracts, but also with the interpretation thereof in the event that the parties dispute anything contained in such contract. A contract is a valid and binding agreement between parties. If reduced to writing it is a powerful tool to enforce the rights and responsibilities of both parties. It is therefore extremely important that both parties’ desires and wishes are expressed in the contract. A good contract should be concise, easy to understand, and not vague. It occurs from time to time that parties dispute something which was agreed upon in a contract. If this happens one, or both, of the parties may approach a Court to adjudicate on the matter and make an order that will be binding between them. Sometimes parties can even choose to refer the matter to arbitration in such a case to save costs. The Court or arbitrator will then consider the agreement and make a ruling that will be binding on both parties.